We’re already seeing a number of deals pop up for Black Friday, which is just over two weeks away. While gamers will no doubt be able to get their hands on some sweet titles for dirt cheap, there’s also a good opportunity to pick up a console bundle for yourself -- or for that special someone, since it is just about Christmas time after all. With that, we’ve started to see some really great bundles that will be offered over the sales weekend, giving you an opportunity to check out the Nintendo Switch, Xbox One or PlayStation 4 for the first time if you haven’t. And their values are surprisingly off the chart, especially compared to what the systems normally sell for. 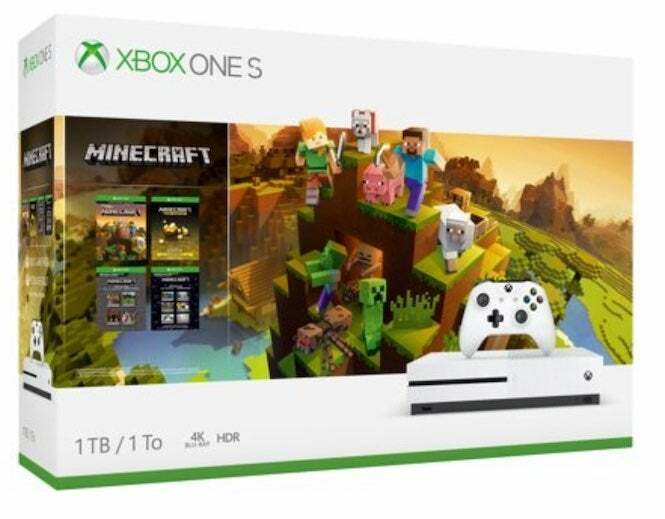 We’ve started seeing this package make the rounds, consisting of a white Xbox One S system with matching controller, along with a copy of Mojang’s best selling game, Minecraft. For good measure, it also appears that some kind of Creators expansion is included with a number of tools that users can check out right off the bat, further pushing their experience with the blocky classic. While the S isn’t clearly as powerful as the Xbox One X, the system still has a number of great features to its credit, including 4K Blu-Ray support, online features via Xbox Live and a number of games that take advantage of the format, including backward compatible Xbox 360 games. It’s a great way to get started with the Xbox One lineup, and fairly affordable to boot. 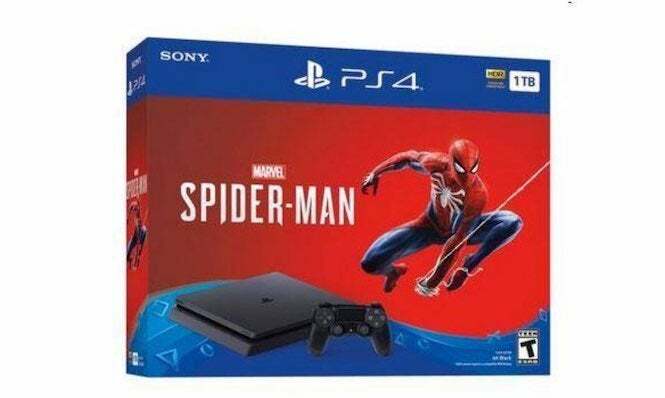 We’ve mentioned this bundle previously when it was inadvertently leaked by Walmart last week, and it’s a fundamental value considering the price. The PlayStation 4 Slim console by itself usually sells for $299, so knocking $100 off the price is a nice deal in itself. But then you also get the standard version of Spider-Man as part of the deal, easily one of 2018’s most memorable games. Insomniac Games’ full-swing adventure is well worth experiencing, even if it’s not on a PlayStation 4 Pro, and being able to enjoy it right outside of the box -- without paying anything extra -- is a pretty damn tough deal to pass up. Okay, so maybe the Nintendo 2DS isn’t the hottest handheld out there anymore considering that the Nintendo Switch lets you take your games on the go. 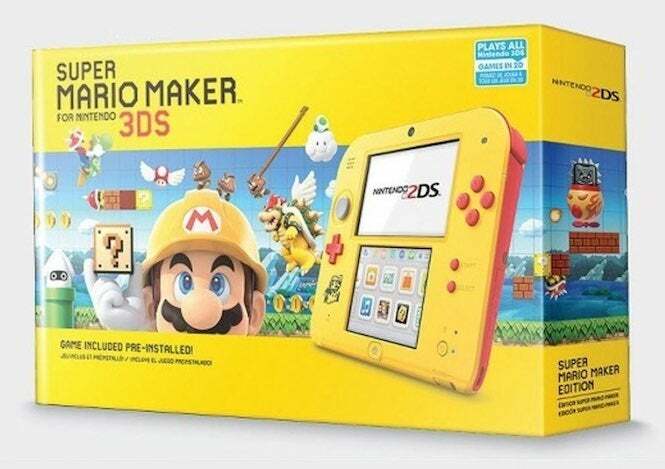 But there’s still an undeniably large audience for it out there; and for those looking for a cheap portable alternative for your kids to enjoy, the Mario Maker 2DS bundle has you covered. 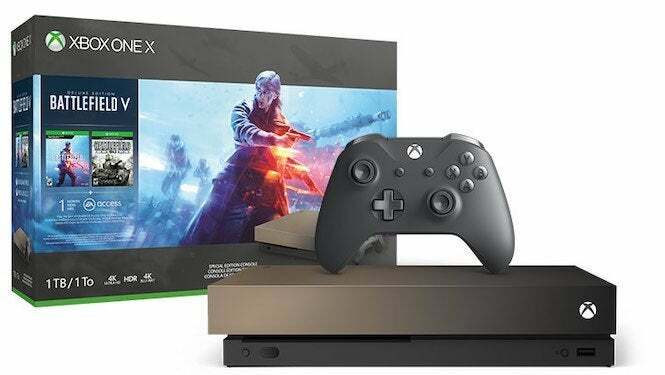 While this is probably one of the more expensive Black Friday bundles being offered, Best Buy’s Xbox One X Gold Rush bundle with a copy of Battlefield V thrown in is still a highly fundamental value. Featuring one of this winter’s hottest games coupled alongside some very powerful hardware, this is a great way to get introduced to the high-end system -- especially if you have a 4K television that can take advantage of it. On top of that, Best Buy is also including a free Xbox One controller to sweeten the deal, so a friend can jump in with you locally for some good multiplayer sessions. And the Xbox One has no shortage of great local multiplayer games, making it perfect for get-togethers over the holidays. Talk about doing the smartest thing you can for the holidays. 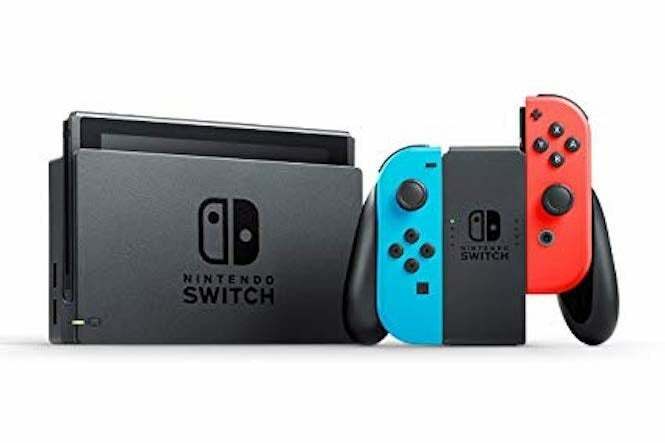 Nintendo is not only offering a Nintendo Switch console in much better quantities than what was available last year; but it’s also throwing in one of its most popular games to date free of charge. 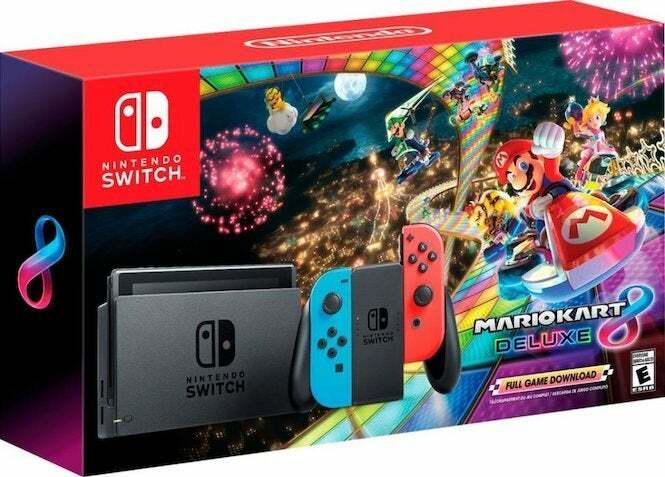 The Mario Kart 8 Deluxe bundle features a full game download, so you can add it to your system’s memory and get right to racing within just about an hour of picking it up. What’s more, the controller’s JoyCons allow you to race against a friend or family member, or connect online to take on the world. Obviously you’ll want to get more games other than what’s offered here; but being able to enjoy Mario Kart for no additional charge is the best kind of Christmas gift. It sure beats fruitcake. You can get these bundles and more from your local retailers starting on November 22!